Companion planting is a great way to keep garden pests at bay without resorting to toxic pesticides. 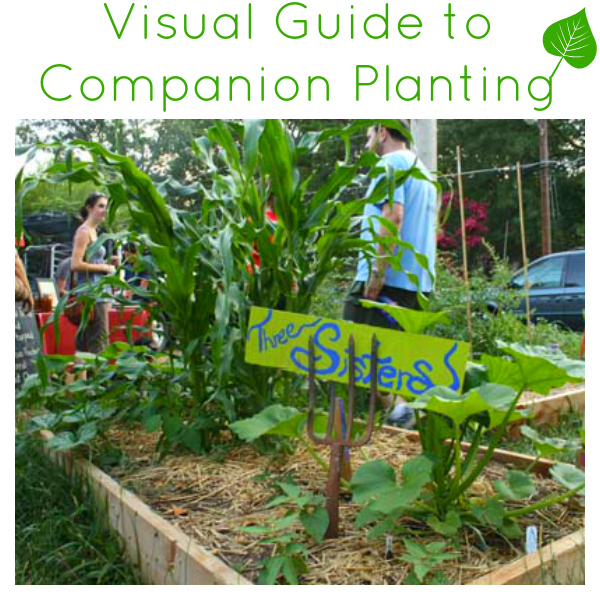 Check out this awesome visual guide to companion planting! Attracting beneficial insects. For example, certain veggies, herbs, and flowers will attract the pollinators that other plants in your garden need to thrive. Diverting harmful insects. Companion planting can be about luring pests away from your food plants onto other plants. Amending the soil. Some companion plants work well together because of how each one interacts with the soil. A classic example of companion planting is The Three Sisters: corn, beans, and squash. These plants have a love affair in your garden. You don’t need a pole for your beans, because the climb the corn stalks, stabilizing them. The squash doubles as ground cover and weed control, and the leaves and stalks left at the end of the growing season nourish the soil, so you can plant again with less fertilizer the next season. The graphic below is an in-depth visual guide to which garden plants do well side-by-side and which ones you shouldn’t plant together. It contains a lot of information, so it might be tough to read at the size that fits in this space. Don’t worry! 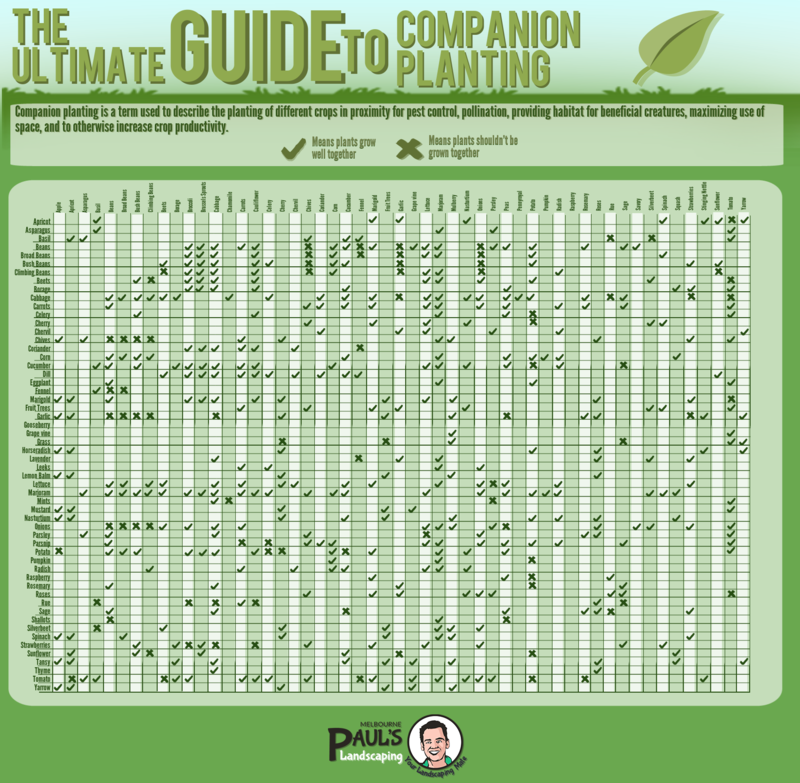 Click on the image, and it will open in a new window, where you can view the gigantic full-sized companion planting graphic.